In a previous post, we touched on items to include on your business’ New Year’s resolution list, but today we focus on personal resolutions. The first item: unplug. We know it might sound strange for a marketing agency to tell you to put aside your devices, but stick with us here! If you’re anything like us you love scrolling, posting, sharing and engaging on social media¸ staying on top of the latest news and downloading apps. However, there are also times when it is important to give your loved ones your full attention and enjoy your life, apart from your phone. Many fear that unplugging will lead them to miss out on something crucial or result in losing recognition/status on their social media accounts. But trust us, there is a way to stay on top of your game and take a well-deserved break. Here we’ve outlined three helpful tips on how to unplug while maintaining your online identity. Going out for a walk or run without your phone is a great way to incorporate some tech-free moments into your day. We wouldn’t recommend heading out the door ‘sans phone’ when you have an urgent phone call scheduled, but this outing will serve as a great reminder that most things can wait for 20 to 30 minutes, without your response. Another great idea when you’re out for dinner: place everyone’s phone in a pile on the side of the table and leave them there. 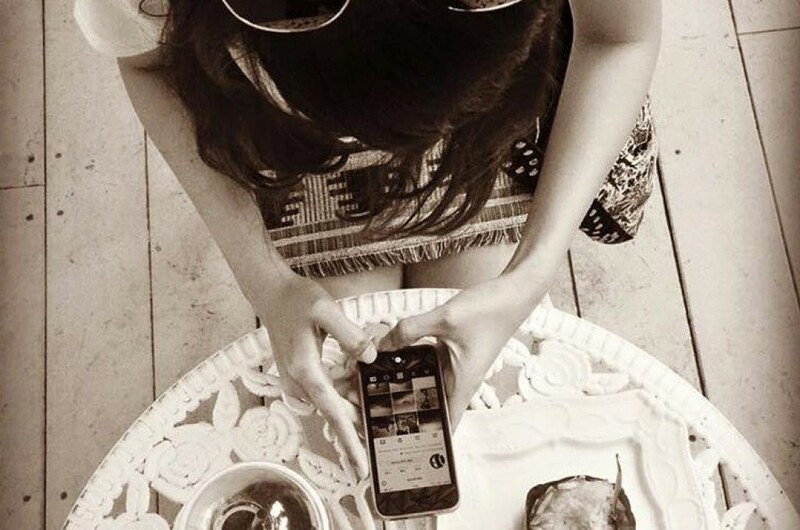 Sure, you may not capture a #foodgram but you’ll really enjoy your meal and your company, without distraction. Whether you are planning to post a story on Instagram, reply to comments on a Facebook post, or respond to unread emails, schedule specific blocks of time to focus on these tasks and stick to them. This way you can give your full attention to the tasks at hand, but move on when time is up. You will find you are more productive when you are plugged in, allowing more engaged time with your family or friends in your off-time. Have you ever checked your phone convinced that it is vibrating, only to see that nothing was there? We have too! While our phones and laptops are essential parts of our everyday communication and work lives, many of us have developed the habit of checking our phone for no reason. On top of this, we can all attest to spending hours on an app, or social network without any productive outcome. Tools like Freedom and Self Control have been set up for this exact purpose. Calls or texts can still come in, but you can block access to specific applications, to help maintain productivity and minimize distractions. We hope these tips will help you fulfill your resolution to ‘unplug’. Electronic devices and social media are a huge part of our lives and allow us to maintain an online identity, but embracing your time apart from them is just as important. Suite 203 is a boutique marketing consulting firm that recommends the best combination of marketing strategies and tactics to reach the right people at the right time. We offer various packages to cater to businesses of all sizes and growth stages. Get in touch to find the best fit for your brand. Thank you for subscribing to the Suite 203 newsletter. Be on the lookout for marketing tips, inspiration and expert advice arriving in your inbox soon.